The following letter was submitted to the Ottawa Citizen in response to a letter questioning Dr. Hassan's Diab's right to challenge his extradition. We are appalled by the innuendos in Ron Grossman’s published letter (July 5, 2013 in the Ottawa Citizen) suggesting that if Hassan Diab were truly innocent, he should have no problems within the French judicial system. Ron Grossman appears unaware of the many irregularities in Hassan Diab’s case on both the Canadian and French side: the flawed evidence based on questionable handwriting analysis that would never stand up in a Canadian court, the highly political nature of the decision about extradition, the likely possibility that Hassan Diab would not have a fair trial in France. We are acquainted with Hassan Diab and testify to his decency, integrity, his knowledge. 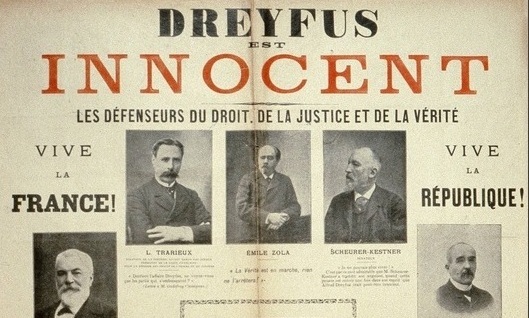 This case is all the more inexcusable as it parallels the infamous Dreyfus case at the turn of the twentieth century – the case of a Jewish man falsely accused of treason, coincidentally based on flawed handwriting analysis, the case that showed the deep roots of anti-Semitism in France. Hassan Diab’s case shows deep roots of racism here – this time it is against Arab and Muslim people. A decision to indeed extradite Hassan Diab is a manifestation of a deep divide in the current Canadian government between law and justice. “Hassan Diab is in the news again. He’s a Canadian citizen whom the Conservative Minister of Justice, Rob Nicholson, wants to extradite to France to face—what, exactly? Widely reported as being a suspect in the bombing of a Paris synagogue over forty years ago, Diab isn’t even facing charges there, as it turns out. But here in his own country, Diab has faced a massive railroading by the judicial system, including prosecutorial and even judicial bias. Despite bland assurances to the contrary, the French judicial system isn’t like ours. For example, a key piece of evidence is a handwriting exhibit. A grossly incompetent “expert” in France, whose testimony was produced at the very last minute after the evidence of two others was demolished by the defence, identified the writing as Diab’s. This was refuted during the extradition hearing in 2011 by handwriting experts of international stature. But in France, these experts would not be permitted to be called by the defence as rebuttal witnesses. The examining magistrate, who gets to decide what witnesses will be heard, had already withheld exculpatory evidence from the Record of Case that was sent to Canada for extradition purposes. None of this is exactly reassuring for those of us who value the presumption of innocence, impartial procedures and full disclosure. Buses No. 5 and 16 stop nearby; get off at Main St. and Lees Ave.
Free parking is available at the adjacent parking lot at Immaculata High School. 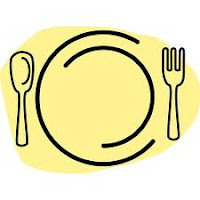 For further information, call 613-828-8468. Dr. Hassan Diab, a Canadian Citizen, is at risk of being extradited to France, based on false evidence and antiquated extradition laws. He has not been charged with any offense but has been held in prison or under house arrest since November 2008. We should all be worried about this injustice! Dr. Hassan Diab is a Canadian citizen and sociology professor in Ottawa who has been living a Kafkaesque nightmare since November 2008. France is seeking his extradition to question him regarding a bomb attack near a Paris synagogue in 1980. He has been living under very strict bail conditions that include paying $2,000 per month for a GPS device he is required to wear, even though he is not charged with any crime. If extradited to France, Hassan will languish in prison, possibly for years, while the French authorities continue a 32 year old investigation of a crime he did not commit. Hassan has repeatedly affirmed that he is willing to answer questions from French authorities here in Canada. France has not presented any evidence to support the allegations. In fact, the evidence shows Hassan’s innocence. Hassan's finger prints do not match those of the suspect, and the extradition case is based on a handwriting analysis report that has been denounced by internationally renowned experts as deeply flawed. However, this has not deterred French authorities and not protected Hassan from Canada’s unjust extradition law. Hassan is appealing his extradition in Canadian courts. Come meet the man and hear his story!